You already know Mercalli V2 or Mercalli Plugin? Here's a newborn in proDAD family, it's EASY Mercalli. It should please most fans of stabilization, as it is presented to an unbeatable price of 14.95 $ for few days (no it is not a typo)! Direct link to buy and to benefit of the special discount ! It's very simple, it's the little brother of the famous Mercalli (if necessary, read proDAD Mercalli new version = V2). This is a simple and effective version to correct the shaky videos, so you can then publish them on social networks, copy them to portable devices or burn to DVD. In addition, the software allows you to cut unwanted scenes. Which difference compared to Mercalli PRO ? Mercalli Easy is the basic stand alone version which lets you stabilize your Videos (without the need to change any setting, the software is doing it for you). Then, you can choose between various export options. 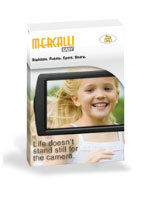 Mercalli Easy is a stand alone version which does not contain plug-ins for other video editing software programs. Who might be interested ? EASY Mercalli is used as an independent program (apart from any video editing software). It is aimed primarily at those who want an independent solution, easy to use, then publish the videos directly (exports on social networks or copy on portable device or DVD burning). If Mercalli EASY parameters are not powerful enough for you, nothing prevents you from moving to the PRO version or Mercalli Plugin (check out our website, special page for 25% discount). If you wish, you can import in your favorite video editing software the scene once stabilized with Mercalli EASY; it will work without any problem, although it is not the most intuitive way of doing. One should prefer integrating Mercalli as a plugin in your software (in this case, prefer the V2 version Mercalli plugin: Mercalli V2: unlocked Studio plugin available, with 25% reduction). Other videos with Mercalli stabilization are available here. If you love it, if you want to buy, use this direct link to buy and to benefit of the special discount ! Or if you just want more information, visit the special site Mercalli EASY, you will find under this link: proDAD Mercalli EASY. Do i purchase -Mercalli V2 PRO (plugin+SAL) version -25% discount, #300391667 if i run Avid studio, upgraded from Pinnacle 14. I have not understood your question, can you please clarify ? Is this the correct version for me, as Avid doesn't have any existing plugin to upgrade too. Sorry for the delay in answering, I am recovering from illness. Yes, you get the correct link and description, that's exactlly what you need. You will obtain the plugin for AVID Studio in this package. Let me know once you order and if you have problem. But you always start with that statement or DXDIAG DirectX version is not good. Yet the correct version on it. 've Reinstalled 2 times but still get this message. Not heard about that before. Can you please get in touch with proDAD, and send them the reporting, they will help you, very professionnal and with solutions to (quite) everything !! Try it, and keep us informed, if needed we can assist. Are you trying to use Mercalli SAL 2.1 with Windows XP? Unfortunately, it is not compatible with XP due to changes in how Mercalli uses DirectX. But will that file every time a wrong opkomt.dat DirectXP driver is ignoring and then the program works well.